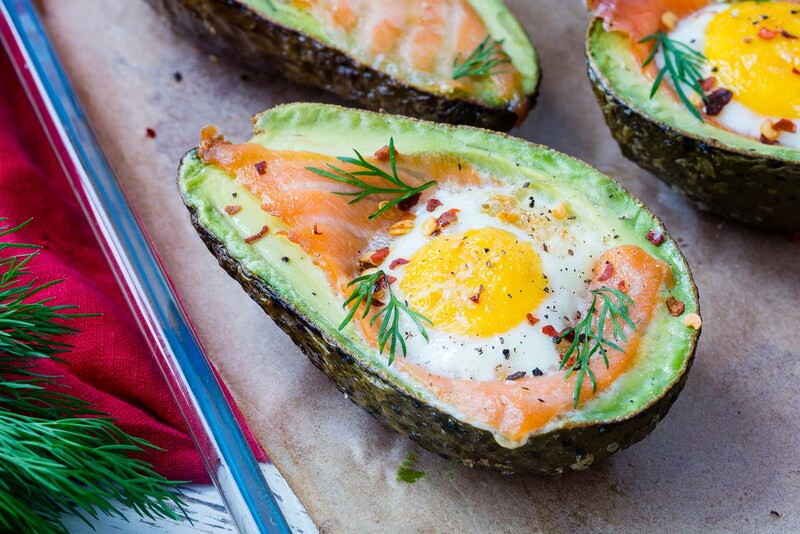 Salmon + Egg Baked Avocados for Balanced Hormones & Glowing Skin! Halve the avocados and remove the pit/seed. If the hole looks small, scoop out a small bit at a time until it can hold an egg. 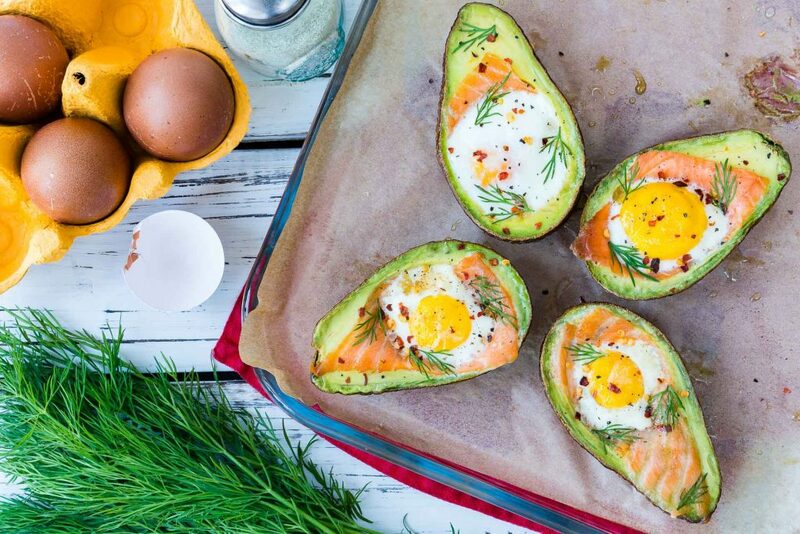 Arrange the avocado halves on a cookie sheet, and line the hollows with thin strips of smoked salmon. 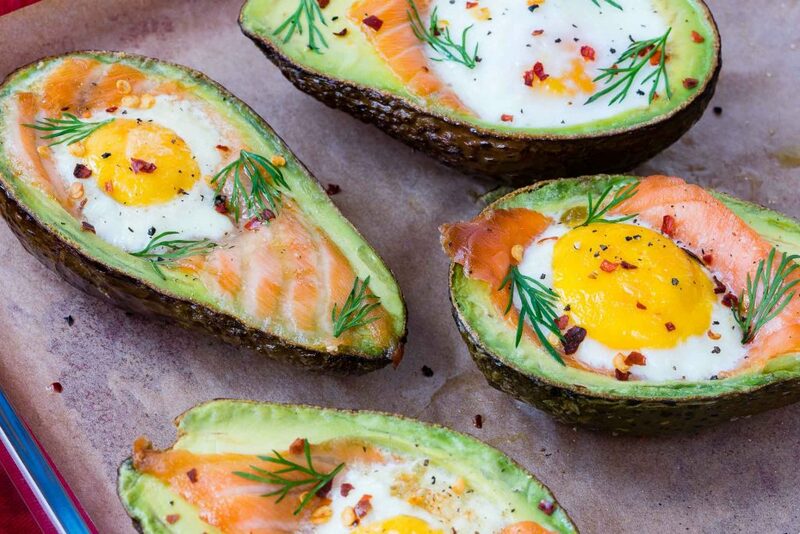 Carefully crack each of the eggs into a small bowl, then spoon the yolks and however much white the avocado will hold. 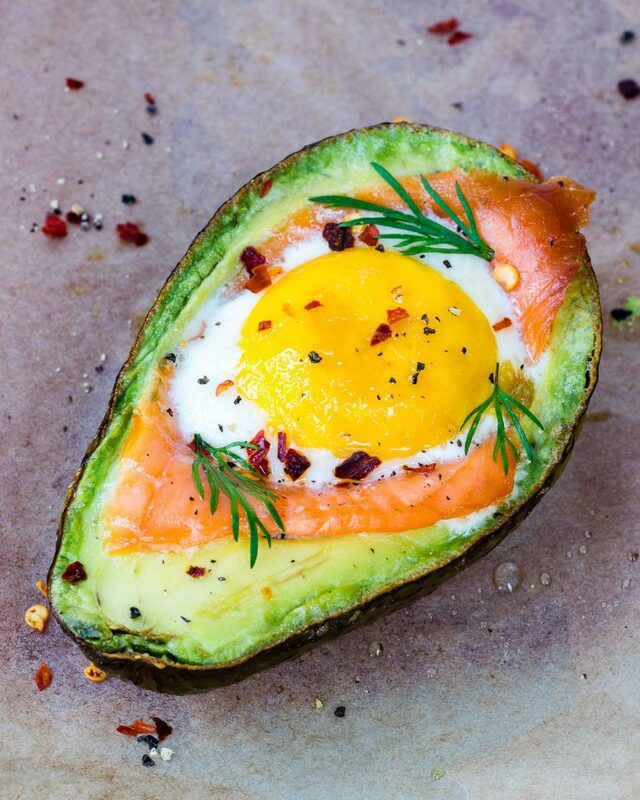 Sprinkle with sea salt and fresh cracked black pepper on top of the eggs, to taste. Gently place the cookie sheet in the oven and bake for about 15-20 minutes, or until eggs are done to your liking. Sprinkle chili flakes and fresh dill on top and serve warm. 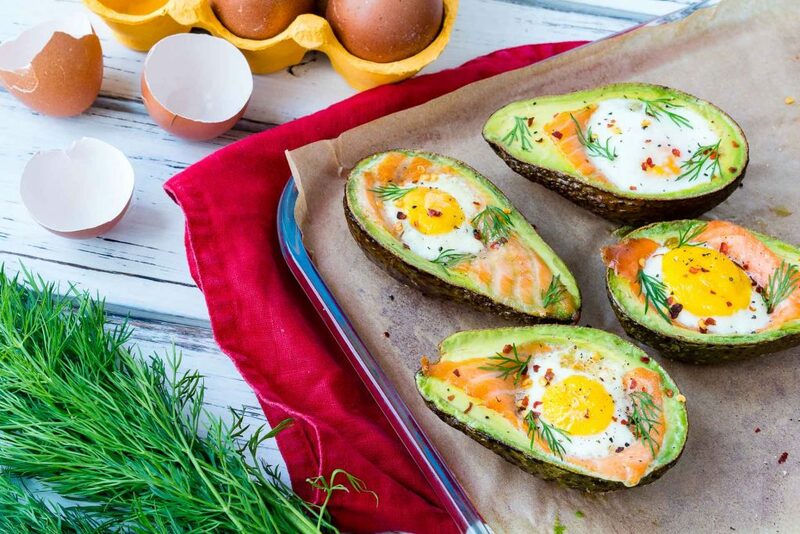 Salmon + Egg Baked Avocados are Your Clean Eating Omega-3 Source!